President Park Geun-hye's hairdresser might hold a key to the truth about the "7 missing hours" while the Sewol ferry was sinking. Attention has been on the hairdresser since Korea's local newspaper Hankyoreh reported Tuesday that a hairdresser styled the President's hair for about 90 minutes between 1-3 p.m. at Cheong Wa Dae while the ferry was sinking on Apr. 16, 2014. The hairdresser has been identified as Jung Song-joo, 55, at beauty salon "Toni&Guy" in Gangnam, southern Seoul, according to Korean online news outlet GObalnews. The report said Park attended an emergency meeting at 5 p.m. after getting her hair done, shedding some light on the controversial period during the nation's worst maritime disaster. What President Park did during the critical time has remained unknown while Cheong Wa Dae kept saying she had received written or phone reports about the accident during those hours. 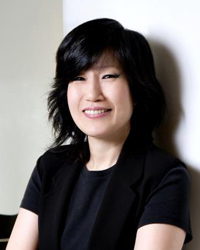 Park's confidante Choi Soon-sil reportedly introduced Jung to Park, who since then has been getting her hair — cut and styled by Jung for 10 years. Asked by GObalnews if Jung had visited Park in the afternoon on the day of the disaster, Jung only gave an ambiguous answer saying, "Normally I do Park's hair in the morning, but I sometimes visit her in the afternoon." Jung had allegedly received a call from the presidential office at around noon on the day of the disaster, according to Hankyoreh. Although she refused to give further details on Park's schedule that day, Jung has become a key figure who might know the truth about the rest of the missing hours. Meanwhile, Cheong Wa Dae immediately denied that Park spent 90 minutes on her hair on the day of the disaster. Cheong Wa Dae said two contracted hairdressers had been working for Park since 2013 and they had trimmed Park's hair only for 20 minutes after 3 p.m. on that day.